Ice cubes to blend and a couple to chuck in your glass when it’s done! Throw it all together in a blender, give it a quick blast and it’s done! 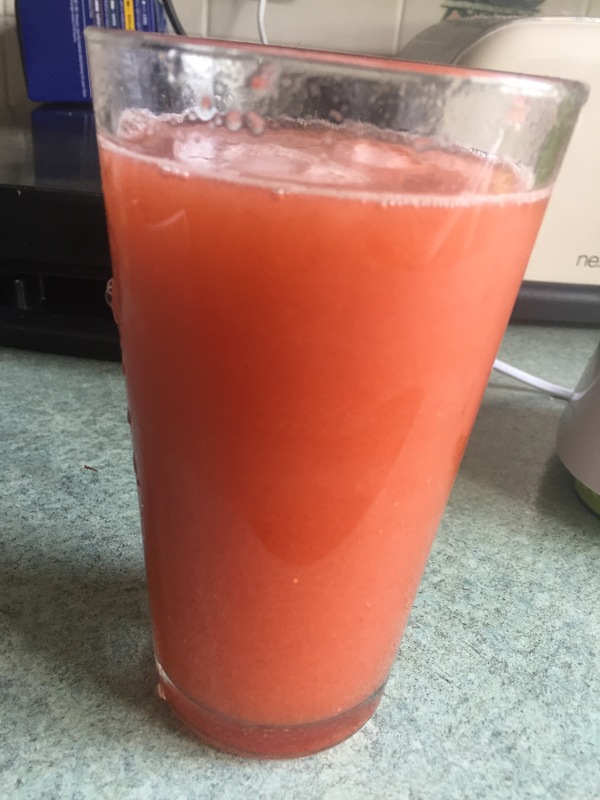 No sweatener and only natural sugar from the fruit you’ve used and a lovely refreshing summer drink! Previous Ham and cheese wrap cakes! Next French and lace braided style- And an elastic pattern!